This week, YMAC CEO Simon Hawkins, features on page 21 of WA Business News. The article entitled ‘Travel Talk’ features Simon’s chosen travel destinations and covers some of his favourite places, including Karijini National Park, Weld Range, Coral Bay and 80 Mile Beach. An agreement signed this week between the Baiyungu Aboriginal Corporation (BAC) and Lands Minister Brendon Grylls, will allow for the development of much-needed housing for permanent workers and business owners in Coral Bay. Involving the transfer of 30ha of land near the town centre, the agreement will enable the BAC to develop accommodation for people who live and work locally. The BAC has also agreed to lease a portion of the land back to the State Government, for the new seasonal staff accommodation facility planned for Coral Bay. BAC Project Director, Noel Bridge, said it had taken several years of quality and focused work by the Corporation to reach a successful outcome. “Coral Bay is a stunning tourism destination, but the development of infrastructure has not kept up with demand. The lack of quality housing for workers and business owners has made it very difficult to attract and retain staff. Mr Bridge said the BAC had received support from the Gnulli Native Title Working Group and Yamatji Marlpa Aboriginal Corporation, and had worked effectively with the WA Department for Regional Development and Land to reach this successful outcome. 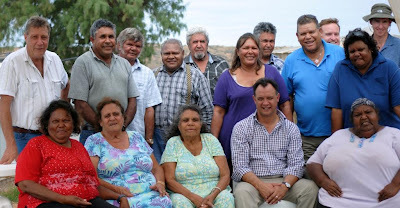 Paul Baron Gnulli Working Group Chairman said the agreement would allow Traditional Owners to maintain their connection to their land, create jobs, economic development, and enhance the local community. “These types of projects have the added advantage of giving visitors the chance to share Baiyungu land and culture,” he said.